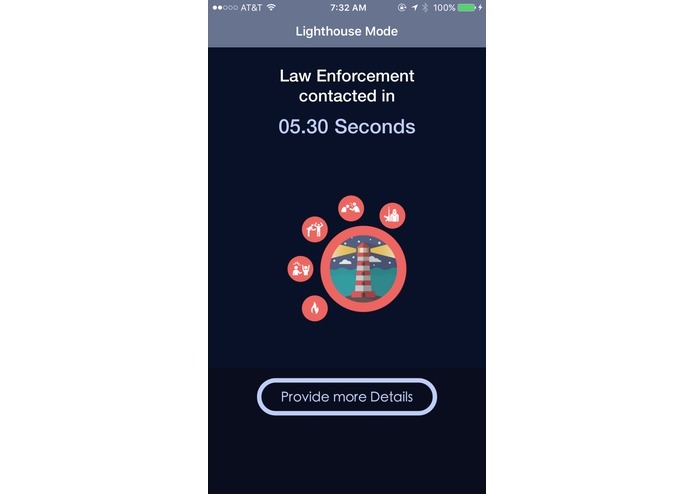 A iOS application that allows for more immediate responses to disasters, crime, and terrorist attacks. Given the recent tragedy in France, and many other disasters that strike us nearly every day; it becomes apparent that reacting effectively and efficiently in such scenarios becomes critical. It was for this reason that we decided to build LightHouse a platform that seeks to reduce the burden of these calamities. We hope that by using technology we can make response to these situations more effortlessly and reduce friction. 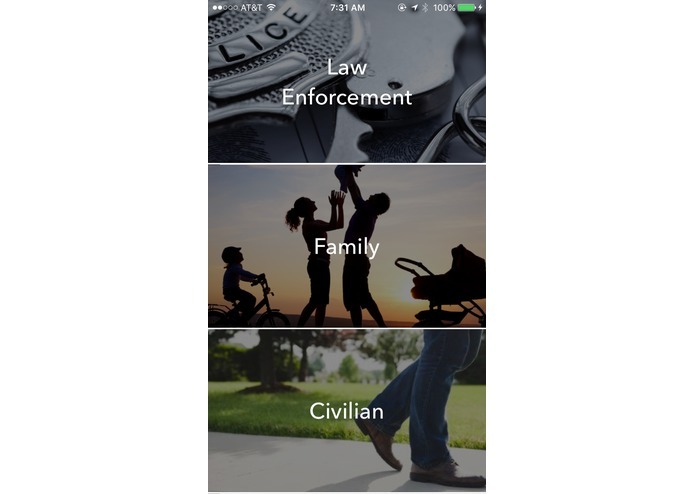 Our application aims to respond to every and all situations related danger; this includes sexual assault, armed robbery, terrorism, domestic abuse, arson, natural disasters. With the use of our application we allow victims a chance to instantly send out an SOS to the police and government; we also allow citizens to upload videos, photos, and audio of dangerous situations as they encounter them, creating essentially a hazard map that informs everybody around them of the danger. Our solution can broken down into essentially two products: a web application and iOS application. For the average citizen our product aims to help quickly respond to disaster situations. 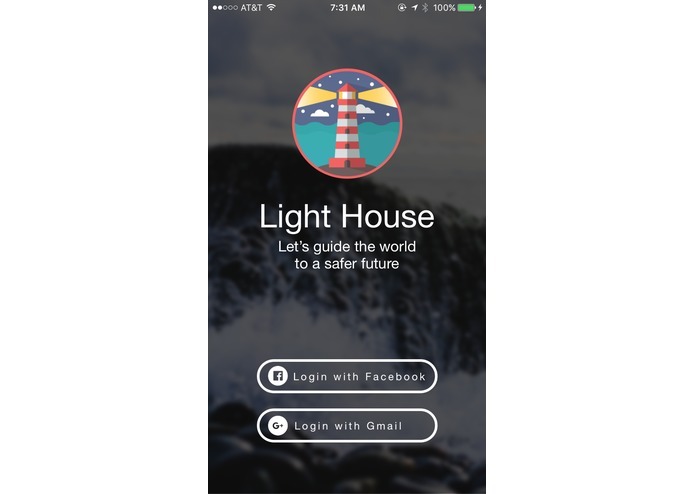 Faced with danger a citizen can tap our widget on the lock screen without even opening the application allowing for instant contact with law enforcement. Additionally during times of national disaster, families can view loved ones through GPS location and know whether are safe. Finally law enforcement can use either the mobile application or web application to monitor crime statistics, hot spots, and high problem areas. Here is a further break down of the three different categories to utilize our product; they are broken down as follows. Officers can find out the number of conflicts reported as well as the distance to the nearest conflict. The number of officers is reported to determine the number of police to be allocated per crisis. Crisis mapping indicates what the most urgent crisis is so that the officers know which disaster to prioritize. Civilian users can register based on their Government ID i.e. Driver's License or Social Security. Information about nearby disasters and their categorizations is provided. 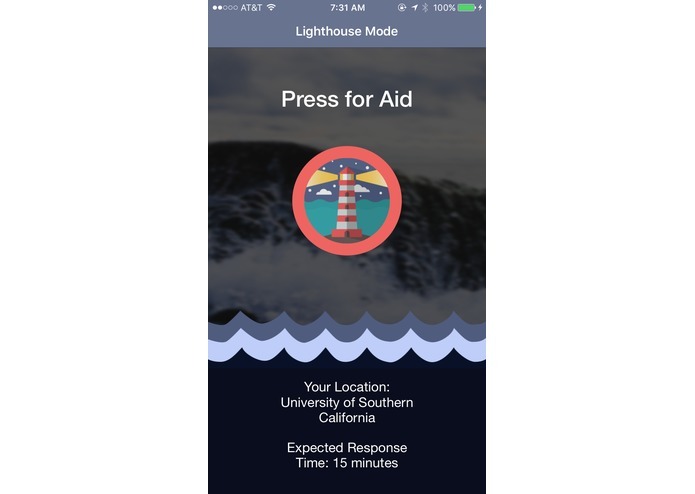 Simple, intuitive widget on mobile phone allows civilians to send an SOS in times of danger. 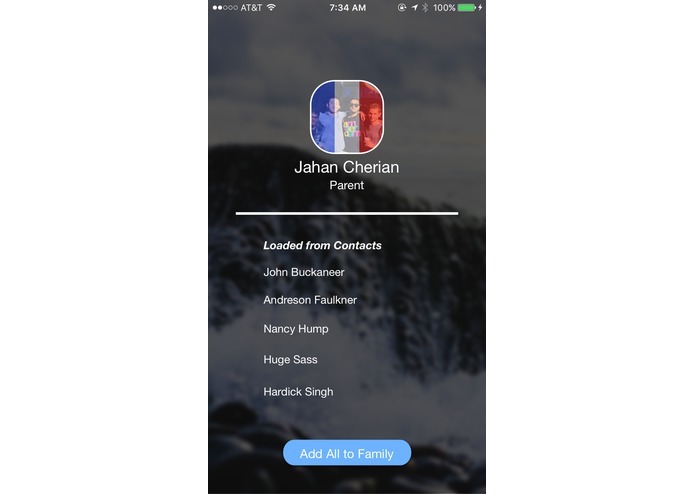 Users can verify the status of family members in a disaster. The relative distance to the family member can be tracked to provide potential rescue options. 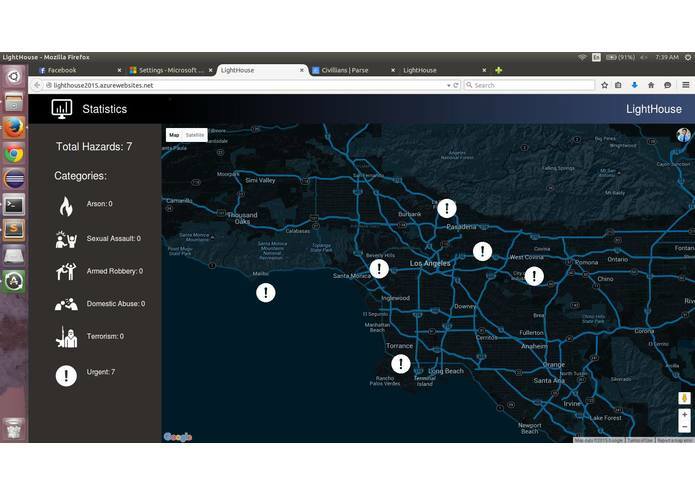 Each user has his or her location mapped so family members know exactly where the disaster occurred. 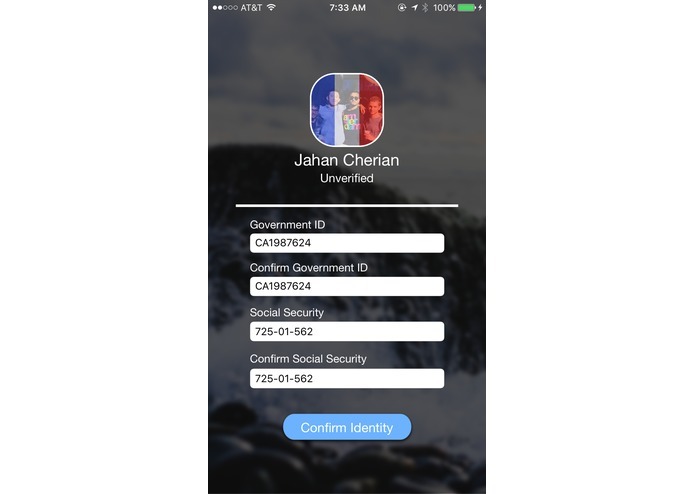 This application was inspired by the recent attacks in Paris, but go much beyond that. It was built with the purpose of helping save lives and reduce daily calamities. 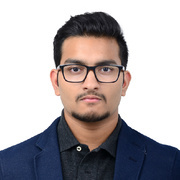 This application works on the basis of immediate response and can therefore be applied to situations that require a natural disaster relief or situations of unrest in countries like in the Middle East. Worked on a majority of the front end iOS development. Linking the UI to the functionality, linking in Facebook, communicating with Parse, handling the MapKit, Widgets, and Form Control. 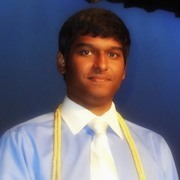 I developed the concept, design, and UI; I built the front end of the app and also worked on implementing app features.